Randwick Presbyterian Church is located on the corner of Alison Road and Cook Street, in the eastern suburb of Randwick. 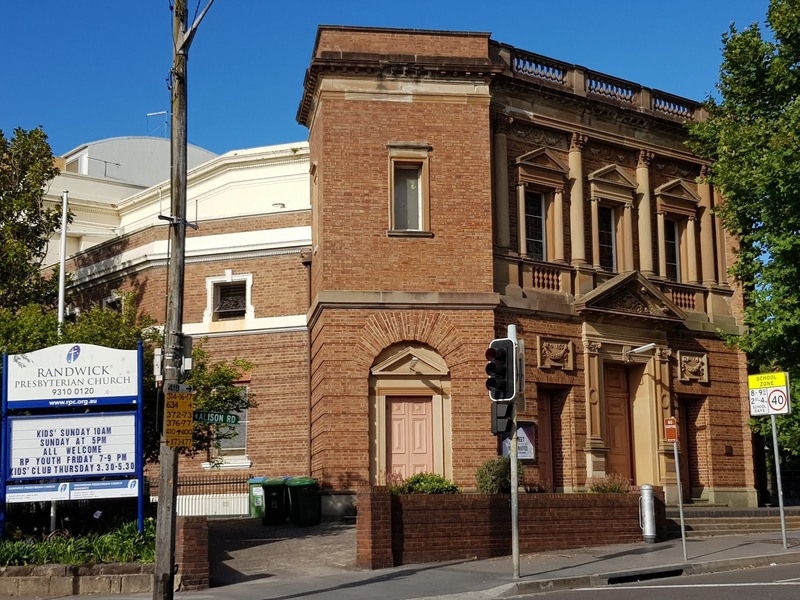 This heritage listed church was designed by Sir John Sulman and built in 1890 in the Victorian Academic Classical style. It certainly is an unusual design for a church. ...steeples don't seem to be popular in Sidney. I've discovered that sometimes they built the church and planned to build a steeple later. Sometimes they never did and other times the steeple was damaged and demolished but never rebuilt. Beautiful architecture. this building is not like a church. Thanks for finding this shadow shot and sharing it with us, Jim. Interesting shape. Not your usual church style.